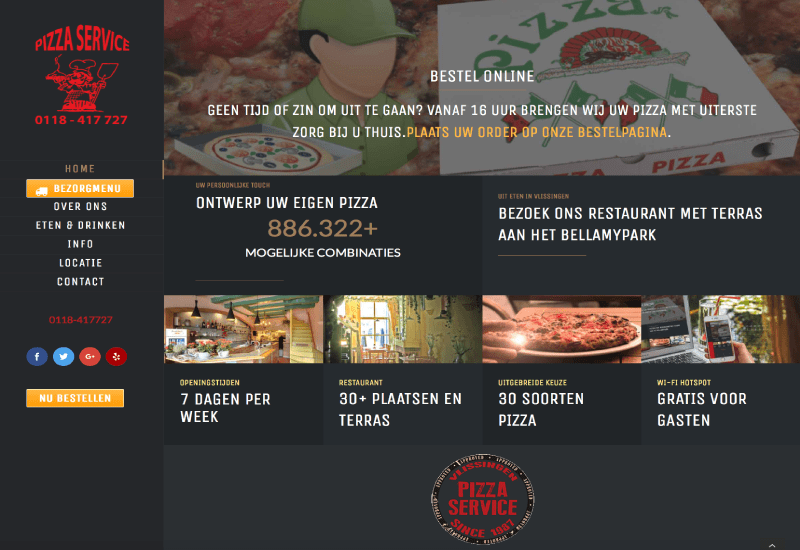 Pizza-Service in Flushing, Netherlands. Introduction of restaurant. Menu is multiple languages. Latest news and offers. Online ordering for delivery service.